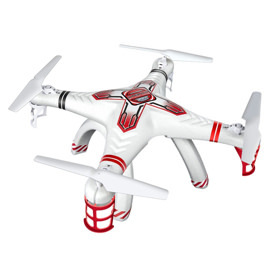 First, let’s call the Parrot Bebop Drone what it is – a flying camera. And a pretty darn good one at that. For half the cost of a DJI or 3DR drone you get a 1080p HD camera with an Optical Image Stabilizer system and 8GB of internal memory. The camera also sends a live fed to your smartphone or tablet giving you a first person viewpoint of your flight. 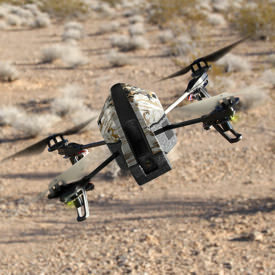 The Bebop 1 is a very stable quadcopter that comes equipped with GPS, another camera that points at the ground to measure speed, and ultrasound height sensors. Another quality perk is the use of brushless motors, a feature usually only seen on more expensive drones. 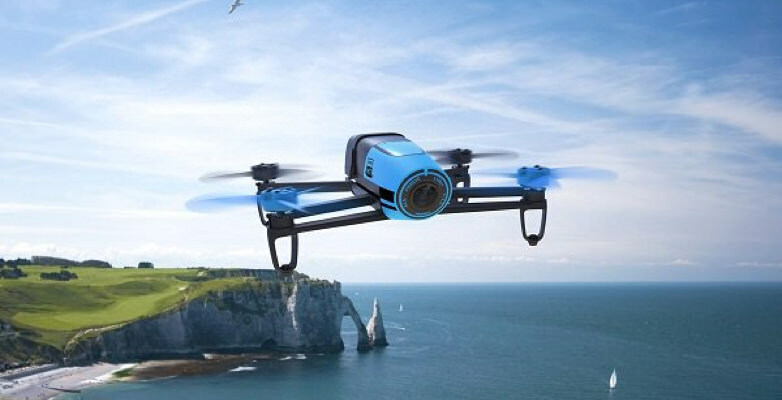 The most impressive aspect of the Parrot Bebop Drone is what you get for the price. 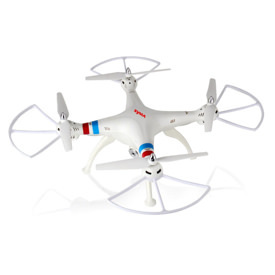 This quadcopter comes with a camera that takes great videos and still shots. 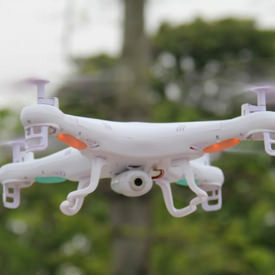 Although the camera is built into the hub of the drone, there is very little sway or shake from the movement of the quad itself. 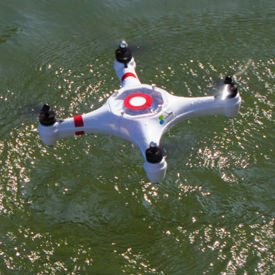 This is all thanks to Parrot’s optical stabilizer software and anti-vibration algorithms. You also have control of the camera angle directly from the app. 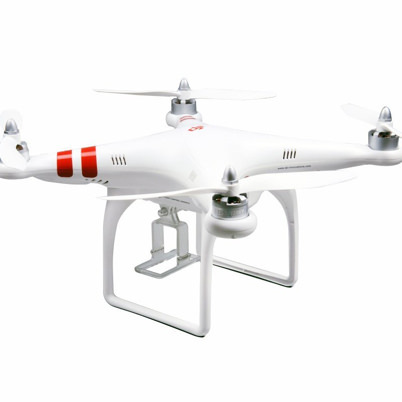 This gives you a 180º angle view that is independent from the drone’s movements. All of your videos and still shots are conveniently stored in the Bebop drone’s internal 8GB flash memory drive. The brushless motors are strong enough to keep it stable in light winds. However, heavy gusts and constant high winds make it nearly impossible to fly. The only way to fly the drone Parrot Bebop is by a smart device using the Free Flight 3 app. For a considerable surcharge, you can buy and use the skycontroller with your device attached. This has a couple of benefits. 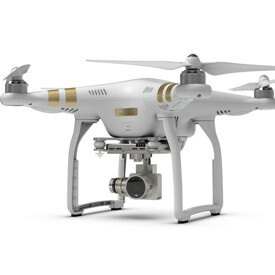 First, it gives you better control over your drone and second it increases the range dramatically. There have been multiple complaints from owners reporting poor range, WiFi drop offs and flyaways due to low range. The app gives you a live feed from the camera with controls to move the camera giving you a 180º view. It also comes with buttons to start recording and take still shots. For an additional cost, there is an in-app purchase for the Flight Plan portion of the app. This will allow you to create and save a flight plan by setting waypoints directly on a map. If you don’t want to spend all that money on the skycontroller, you can also choose between the iPega PG-9023 or the iPega PG-9025. Although they don’t boost range or integrate as seamlessly as the skycontroller, they will make it much more fun to fly your Bebop Parrot Drone.